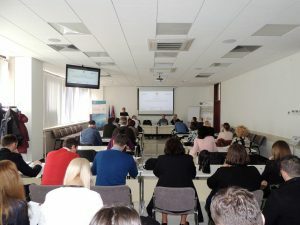 In the premises of the Chamber of Commerce of Republika Srpska, training for representatives of public companies, public institutions and companies from Republika Srpska was held. 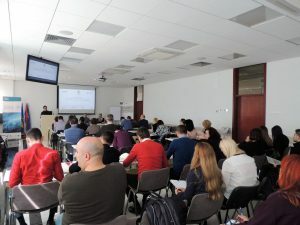 The aim of the training was to provide assistance to responsible persons in the mentioned organizations in creating conditions for safe reporting of corruption, efficient dealing with corruption reporting and protection of whistle-blowers, in accordance with the obligations arising from the Law on whistle-blower protection in Republika Srpska. Participants of the training were also informed about the obligation to inform the Ministry of Justice of Republika Srpska on the application of the Law. At the end of the training, the participants were informed that Guidelines on corruption proceeding and protection of whistle-blowers are available on the web pages of the RS Chamber of Commerce and the RS Ministry of Justice. 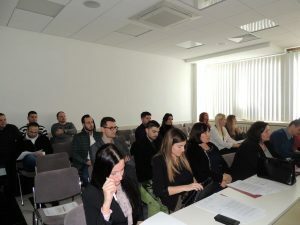 The training was attended by 40 representatives of public companies, public institutions and companies from Republika Srpska, while participants were very satisfied with the training. The training was conducted by representatives of the RS Chamber of Commerce and the RS Ministry of Justice, with the expert support of Eda representatives in preparation of the training program, within the project “Strengthening public integrity in Republika Srpska and the Federation of BiH”, supported by the UK Government through UK aid.